Apparently Ghosn has been under-reporting his income and committing other acts of misconduct. Seems he did't report income of $44 Million of a 5 year span. He was ousted by a whistleblower and was under investigation and this is how Nissan found out. Seems a guy named Greg Kelly is involved too. Saikawa has been with Nissan since 1977, so I am sure he was frustrated with a lot of things. Seems like he put his head down and did what he had to do to get to a position where he could do something. But that's completely my own speculation. EDIT: With more thought on this, Maybe Nissan wanted Ghosn out in general. Maybe they weren't up for the possible merger with Renault... But we shall see how this all unfolds. Last edited by NissLover; 11-19-2018 at 12:52 PM. Looks like he might have taken his "cost cutting" approach to his perosonal finances as well. Still despite our recent misgvings about him he is still the man who saved Nissan... so I will reserve judgement. Well, this is certainly ruining both French Car Monday (slow week) as well as Hating Ferd All The Time (although the only way to implode Ferd is from the inside, which it is doing quite well). Four of my Americain comrades, plus my secret Oosaka mole, were on it first thing this morning. I think I saw a 2019 Altima in Indiana yesterday while driving east to Cleveland. I have already filed a Non-Compliant Sighting Report with our Toyotathon overlords. As for the slightly more competent and somewhat less arrogant rendition of Jacques Nasser, whatever, fifteen something years was enough. Honestly, theres a small sign of relief on the inside... He saved the company, but maybe the tactics weren't something to maintain for long-term success. For instance, the fleet sales reliance here in the US. I was happy the new CEO said that's gotta stop as soon as he took the helm. But there were some damn good things that happened during his reign, Z and GTR revivals, the rebirthing of Infiniti (for a time period, I guess), and so on. But I think Nissan needs to get back to Japanese core values and morals as a company. Good riddance. He "saved" the company by taking appropriate evasive action (and injecting cash from Renault) in a time of financial crisis. But as NissLover said, it's become increasingly apparent that his tactics do not bring about long-term success. And they make the end products much less enjoyable for we enthusiasts. I guess my prayers are answered? Christmas came early? I always thought that Nissan would not be able to heal until Ghosn was gone. Now I'm slowly getting excited about this company again. With him gone, PLEASE hope that they can ditch their plan to make Infiniti FWD-only. This is indicative of the damage Ghosn did to Nissan. 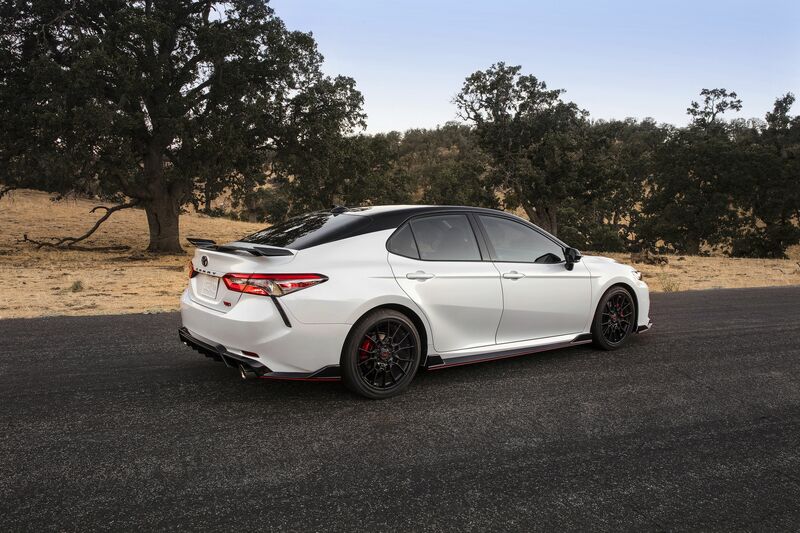 Toyota, upon getting its act together in making cars that are at least a little exciting, has made an "SE-R" version of the already impressive new Camry. No Altima SE-R or Nismo is in sight. Last edited by JayG35; 11-20-2018 at 12:55 AM. Wasn't there supposed to be a push for more NISMO models worldwide? Seems that died when Andy Palmer left for Aston Martin. I was hoping Ghosn was being arrested for the CVT. Me too MD. Bow to the CEO, they are all geniuses and worthy of all that pay. To hell with the world, bow to the CEO. You have to love both the CVT and the rolling Iphone on wheels. If I only had a car said someone in some movie. I just speechless about this development. He did save Nissan in the past no doubt about that. But when talks of complete merger of the two companies I started to cringe at the thought. My $.02, he went to far with talks of complete merger. Nissan/Japanese govt didn't like it and did something about it. I'm not sure who is right, but this isn't the way I wanted Nissan to make headlines either.